I keep thinking it's 4th of July, but it's just fake 4th of July! Juuuuust a tad obsessed with my flower crown. Ha. i love the use of that belt girl! done. An amazing outfit! Love these photos! Oh my goodness I love that bag, where did you get it? 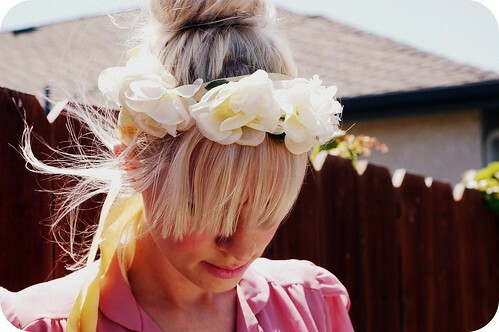 You look adorable, I love the flower headband. Love this :) + new follower! Lovely photos ! I really like the pink shirt, such a perfect outfit..
Love the bowed off belt- what a superb idea. 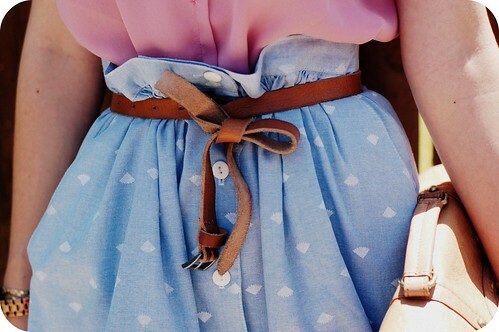 Love the way you tied your belt, it gives an interesting shape to your skirt and adds a nice little quirk to your overall outfit. I saw this on wardrobe remix! such a sweet outfit!! Such a cute outfit! 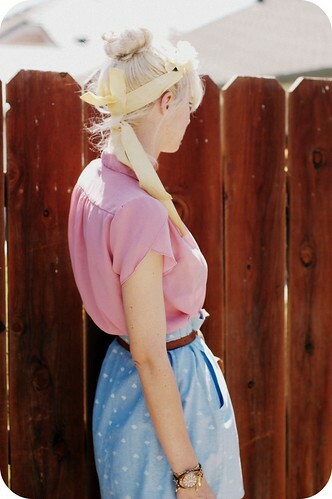 Love the belt bow and the flower crown :)! you are such great sense of style. Excellent outfit! I love the color combo!